One of the things that I absolutely do not address enough in my life is gratitude. I never really have much appreciation for what I have and I instead find myself vying after everything that I don't have and everything that I am not. According to PureWow.com, one of 8 things that happy people do every day is pick one thing each day that they're grateful for. And yeah, I want to be happier, so if writing in a gratitude journal is the way to do it, then I'm completely up for trying it. In order to do so, I decided to try writing in a gratitude journal for a week. Since I have absolutely zero experience with writing in gratitude journals, I did a little research before beginning my adventures in gratitude. While some website have recommended writing just one sentence or one thing that you're most thankful for, some of the others suggest a set number of 5 things, while others suggest just going with the flow. In order to make sure that I am really doing this gratitude journal thing, I set a goal for myself to have a minimum of one thing per day that I am grateful for. Additionally, I found the Tiny Buddha article to be really interesting, particularly the fourth tip for a gratitude journal, "Elaborating on why you are grateful allows you to really explore your feelings". Thinking about a gratitude journal, a list seems almost too easy, where I can just write the generic things without really feeling any gratitude for them. Because of that, my second goal is to elaborate on each thing that I list in my journal, at least two sentences per item (but of course, preferably more), citing specific moments that happened in order to not only spur gratitude, but also memories of the little things that make my day. And with those goals in mind, I set off on my journaling adventure. day one: grateful for community. On the first day, like any challenge that I set for myself, I was most motivated. I didn't have to think too much about what I was grateful for, especially considering on that on that particular day, a specific instance occurred that made me immensely grateful for the community that I surround myself with. I found that a gratitude journal could become a scrapbook of happy memories for the future. 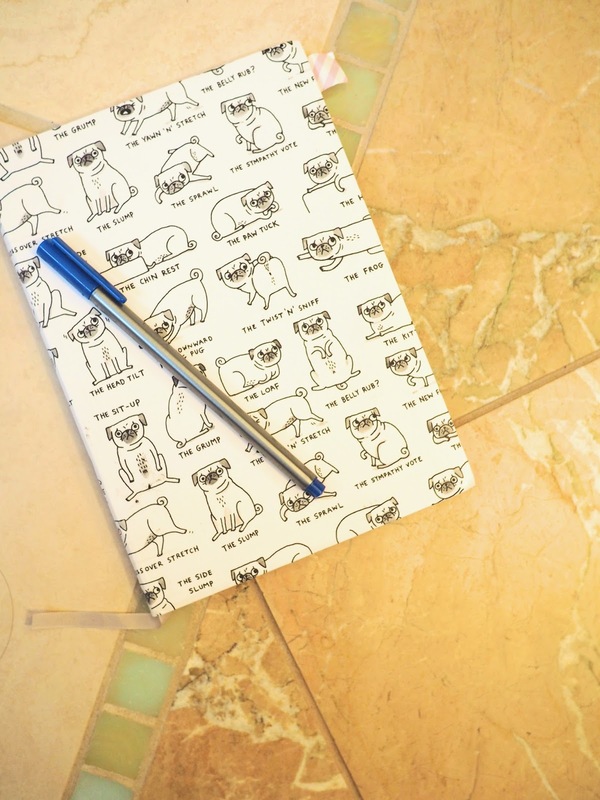 As I was writing down the details of that moment, it made me consider how effective a gratitude journal could be, not just being a reminder for everything good that I have in my life when I look back through it, but also as a way to store specific memories, like a scrapbook, of happy times. day two: grateful for.. what? Today, I specifically remember being grateful for one thing in particular, but by the time I got to my gratitude journal, I couldn't recall it, bringing me to my first road block of the experience. The thing about having a gratitude journal is that it encouraged me to consider what I was thankful for, which was beneficial to me, but I couldn't always remember what it in order to record it. I ended up writing that I was grateful in my recent choice to try something new, which was definitely not what I initially intended to write. I know that I wanted to write something along the lines of friendship, but the thought has vanished. day three: grateful for the security. On day three, I ended up going shopping for some gifts. While I was shopping I found these super cute fox slippers that I absolutely did not need, but in that moment, I felt like I really did. They were only $6, so I decided to grab them and to add them into the basket as a little gift for myself. That moment spurred gratitude of the economic security that allowed me to splurge and buy something for myself, just because. On day four, I not only forgot to write in my gratitude journal, but I found myself unable to think of anything that I really felt a strong authentic amount of gratitude from. While I could think of countless broad things that I was grateful for, since I was aiming towards specific moments that caused sporadic gratitude that could be elaborated on in the journal, I didn't want to write down something that I was grateful for that wasn't prompted by a specific moment during the day. I found myself caught in the struggle of writing something just to continue the gratitude, even if it might be slightly less authentic, and the guilt of feeling ungrateful. day five: grateful for health. This morning, I stumbled upon a surprise. I woke up and despite feeling completely normal the night before, had hives, something that I had never gotten before and arrived out of the blue. Once I got out of bed, another surprise and new experience occurred. I was getting medicine and then the next thing I knew, everything went dark, my ears were ringing and I nearly passed out. I remember sitting there on the floor, feeling like I didn't have control over my body anymore and wondering, "Is this what it feels like to die?" The point is, on day five, I was grateful for my health, which seems like a contradiction considering the state that I was in. After a few hours of rest, I felt normal again, which I am immensely grateful for. I'm grateful that I can heal and that I normally don't have to worry about health, something that the experience taught me. day six: grateful for certainty. To make this gratitude journaling more dramatic, the surprise of the hives came back and I found myself nearly fainting (again). At that point, I decided that it was about time to go to the doctor. When I got there, I found out that I had strep throat, something that I absolutely did not expect to have. I had gotten strep throat twice before already and had never gotten symptoms remotely similar. And to top it all off, I didn't even have a sore throat. However, despite being shocked about the result, I was glad that I at least had the certainty of knowing what was wrong with me. Considering that I had never had hives before or had never fainted, the whole ordeal felt scary. Knowing what was wrong gave me the comfort of knowing how to approach the issue and that I would get better. day seven: grateful for those that care about me. After the rollercoaster of my strep throat, I returned to my normal classes on day seven. On that day, lots of people were checking in on me with genuine concern, even the people that I don't usually talk to. I think sometimes we assume that people don't care about us, but in reality, they do, even the people that you wouldn't expect to. I've found that you don't have to be best friends with someone to show your care and compassion and on day seven, I experienced that. Would I continue with my gratitude journal? I have to say, this was probably the most difficult of the weekly tasks that I've done for the blog. While in the past I've adopted challenges like bullet journaling, swapping clothes with a friend, and doing a five minute tidy up before I go to sleep, all for a week, this was by far the most difficult one. Maybe it's because I didn't feel a strong motivation for it, but although I was able to craft up things that I was grateful for and the reasons why, I found myself unwilling to sit down and really write about what I was grateful for. My main problem with keeping up a daily gratitude journal how unnatural the journaling process felt. I have never really kept a traditional journal where you just write down what happened during the day, but each time that I tried, I always failed because it felt forced and uncomfortable. In my past experience with bullet journaling, it felt a lot more natural since it was less about reflecting on the day to day things with a daunting blank canvas and more about getting things done. I think that the most difficult aspect of keeping a gratitude journal for me, personally, is getting used to the flow of writing about my day and reflecting with no kind of prompt. So no, I don't think that I would continue. However, what I propose as a potential edit of the traditional way of doing a gratitude journal would be a gratitude jar. Instead of writing long formal journal entries, I think that a good way to transition towards that might be jotting down a thing that I'm thankful for, a quick little backstory for what prompted the gratitude (if it applies) and then I can pop it into a mason jar so that I can look back on them in the future. If I continued, I would revise the form of the gratitude journal. In addition, I think that sporadic gratitude can be more rewarding for me personally rather than the habitual gratitude. Although I think it's great to find gratitude in the every day life, there's just something about the surprise little ways that you can find gratitude that is a lot more satisfying for me. 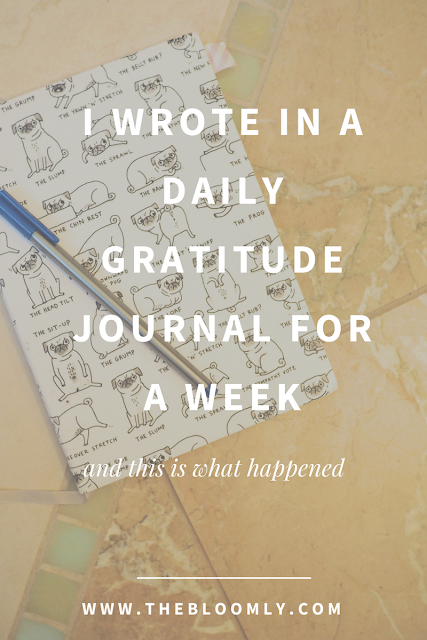 Have you had a gratitude journal? If so, what's your experience with it? Let me by writing a comment! Glad that you enjoyed reading the post!